Ever since I was a kid, my family’s had an unwritten rule that we eat dinner together on Sunday nights. During the week, busy work schedules, sports teams and other commitments have everyone coming home at different times. It’s also quite common for at least one of us to make alternate dinner plans on Saturday nights. Alas, this leaves Sunday, which tends to be the day when there’s time to cook and eat a meal together as a family. I’m a firm believer that it’s important to make the effort to have dinner as a family on a regular basis, at least, if distance allows. Sharing a meal is the perfect excuse to catch up, talk, and create memories. Oh, and no phones allowed at the table, or it doesn’t count! Dinner with the family doesn’t have to be difficult or time-consuming to prepare. 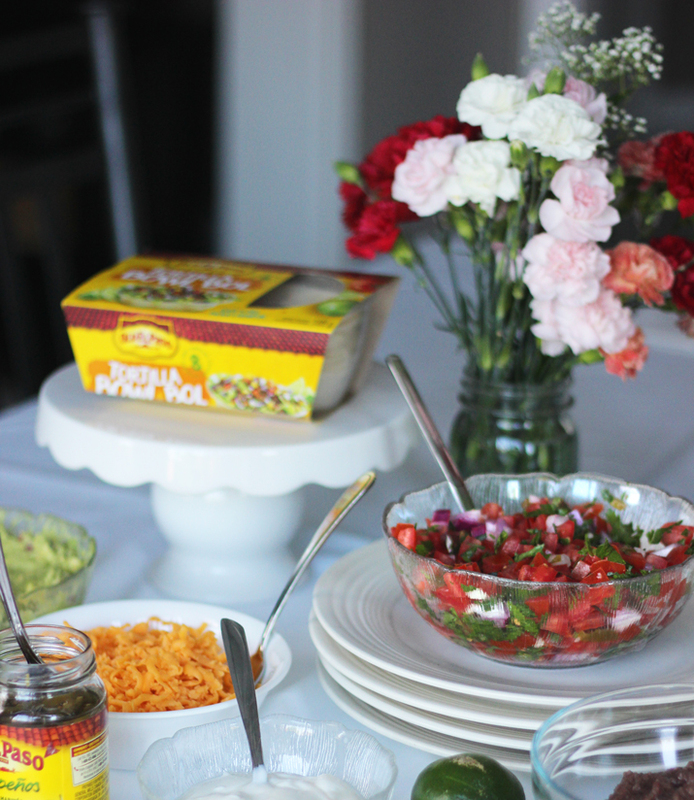 It just needs to be a meal that everyone enjoys, and in my house, everyone loves taco night! Since tacos are a crowd-pleaser, we eat them quite frequently. 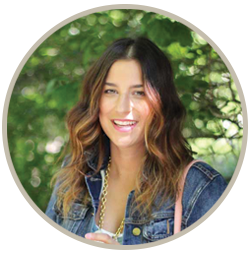 To keep things interesting and fun, I always like to keep my eyes open for new and exciting products. 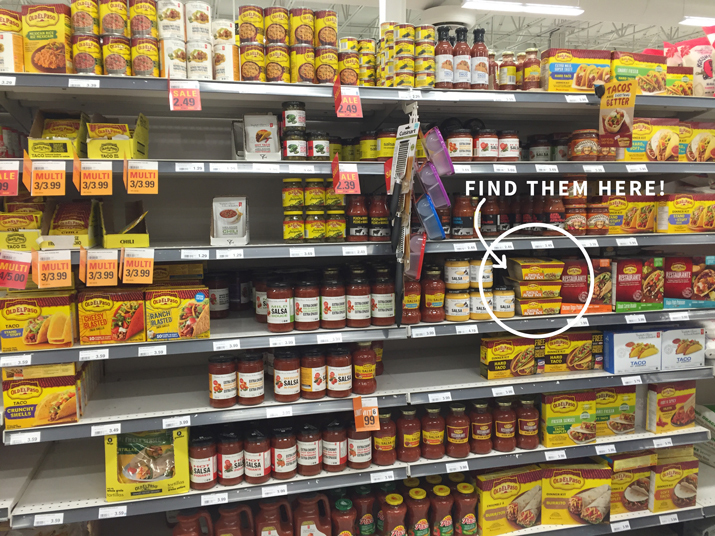 On my most recent stroll through the Mexican foods isle at Loblaws, the OLD EL PASO Tortilla Bowls caught my attention. I’d never tried them before, but they looked fun, which was enough to sell me on them. 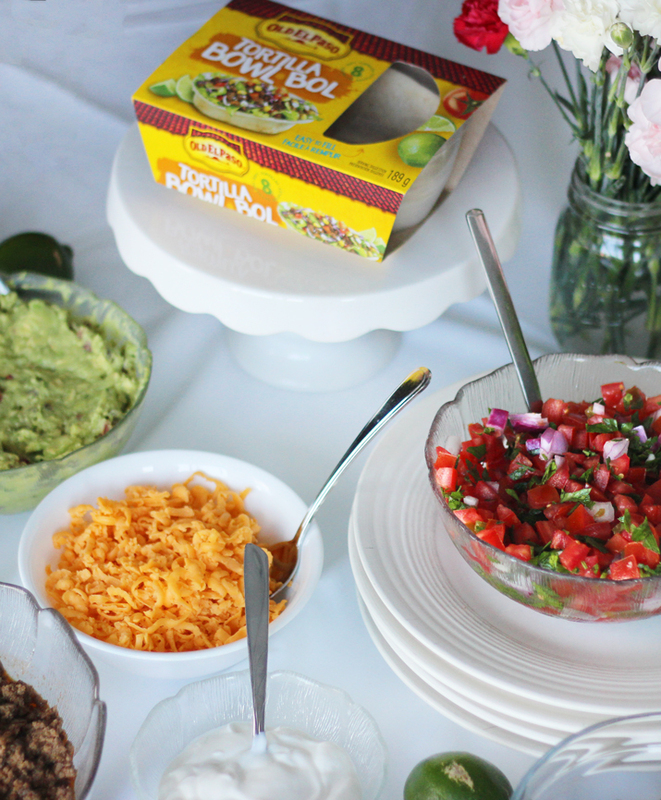 When we have Mexican-style food, my family and I like to go all out with the toppings. At the absolute minimum, we like to top our tacos with grated cheddar cheese, OLD EL PASO refried beans, and shredded lettuce for colour and texture. The rest of my family would argue that sour cream is also an essential topping, but I’m not a fan of the stuff. 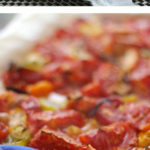 As far as I see it, more toppings makes the meal more fun and enjoyable for everyone. After all, who doesn’t like to play with their food? I don’t think you’re ever too old for that! 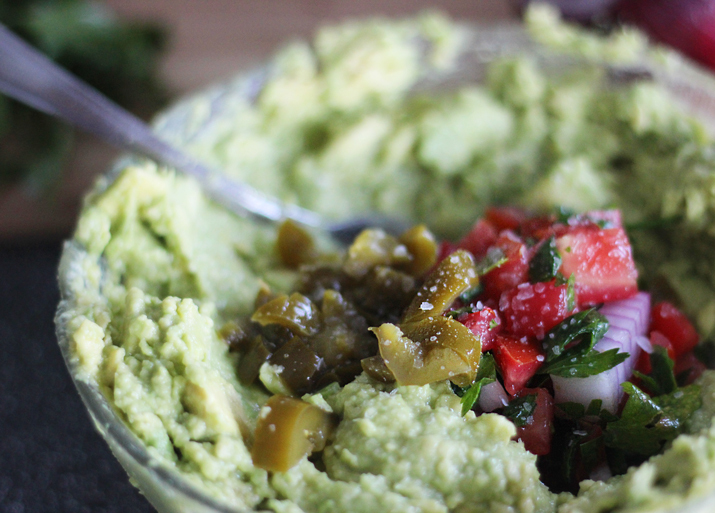 When time allows, I like to add my own spin to the final plate: homemade pico de gallo and guacamole. 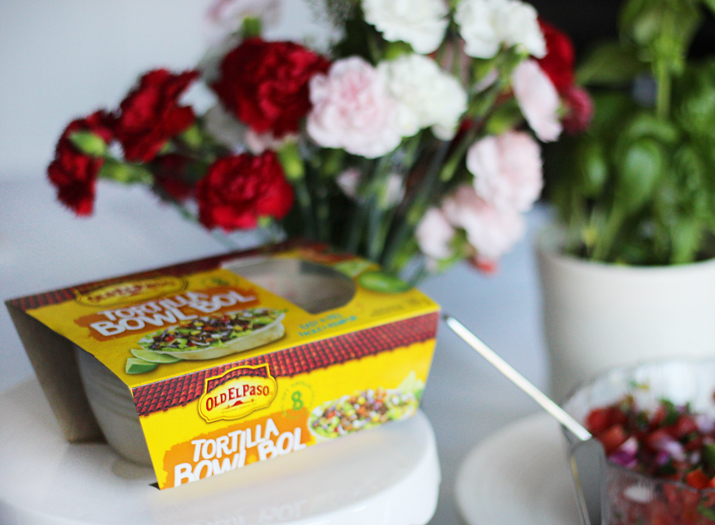 The two go hand-in-hand and really help elevate taco night to the next level. 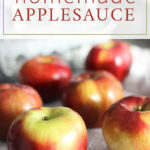 Scroll through for the recipe! The verdict? 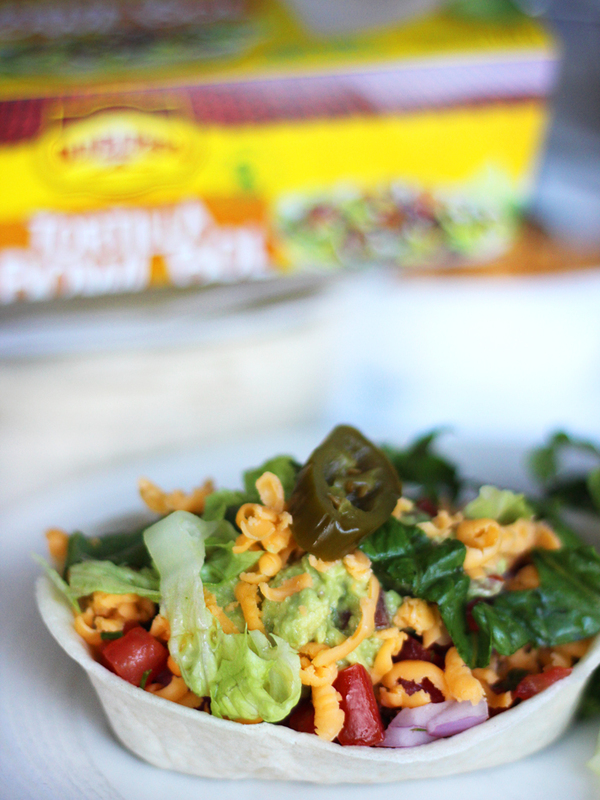 The OLD EL PASO Tortilla Bowls were delicious, easy to fill, easy to eat, and they’re the only soft taco I’ve ever seen that’s able to stand up on its own. Even after I filled mine to the brim with delicious taco meat and all the toppings, it continued to stand on my plate. 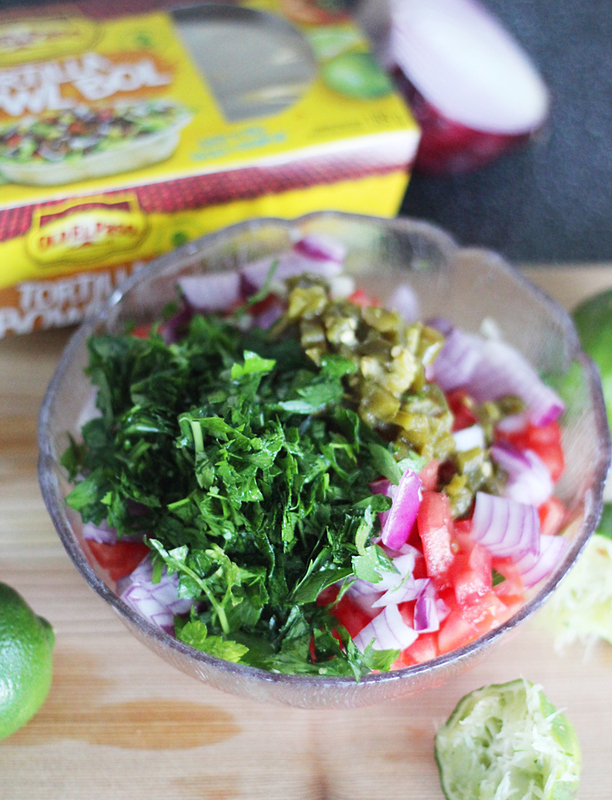 OLD EL PASO Tortilla Bowls are available in two sizes – original and mini. I bought the original size, but I’ll probably try the mini ones next time. 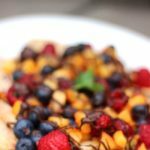 I think it would be fun to use the mini tortilla bowls to make dessert tacos, using my fruit nachos recipe as a guideline. Cut your tomatoes in half, being careful to discard the seeds. Dice the tomatoes and add them to a medium-sized bowl. 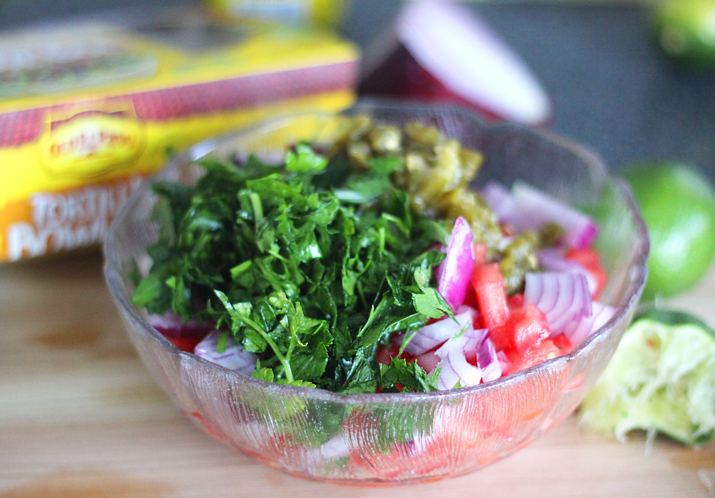 Chop your red onion, jalapeno peppers and parsley and add that to the tomatoes. Finely mince your garlic and add that to the bowl as well. Next, juice your lime into the diced vegetables, top with salt and pepper and mix until combined. It’s ready to serve, but it tastes even better if you let it sit! 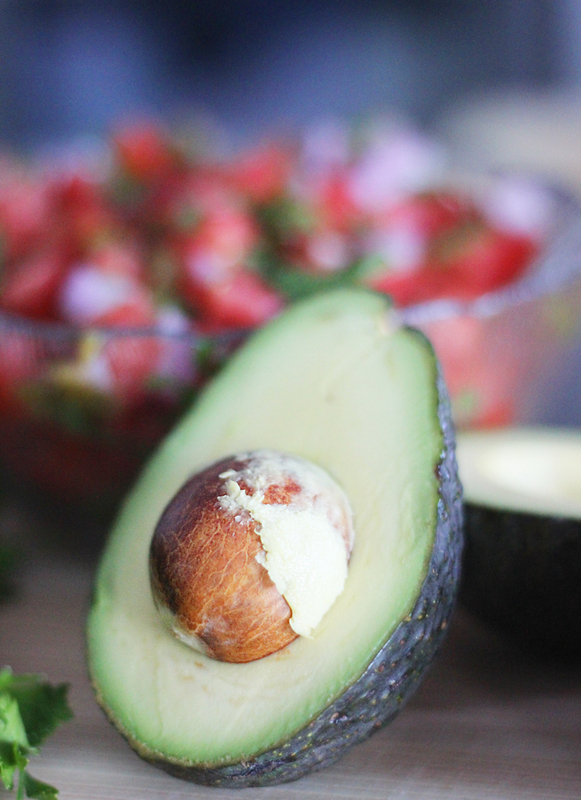 Cut your avocados in half. Remove the seed and then scoop the flesh out from the skin, using a spoon. Roughly chop the flesh and place into a bowl. 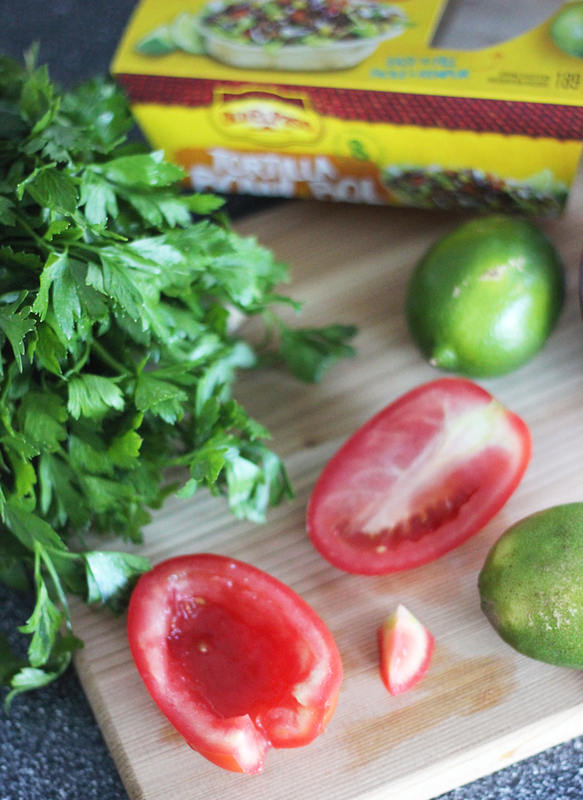 To add flavour and prevent it from turning brown, squeeze your lime into the bowl. Using a fork, mash the avocados to your desired consistency. I like mine a little bit chunky, but it’s up to you. 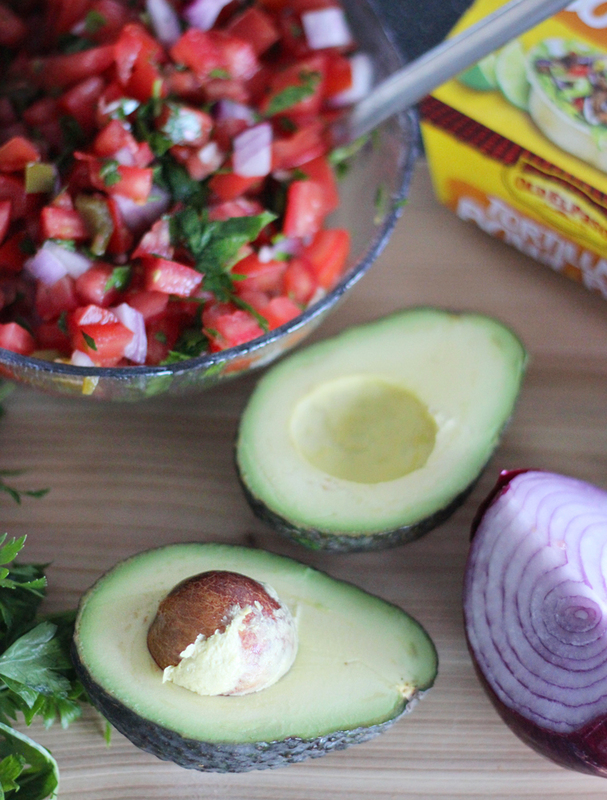 Next, add your prepared pico de gallo, jalapeno peppers, and seasoning. Mix all together and it’s ready to serve. 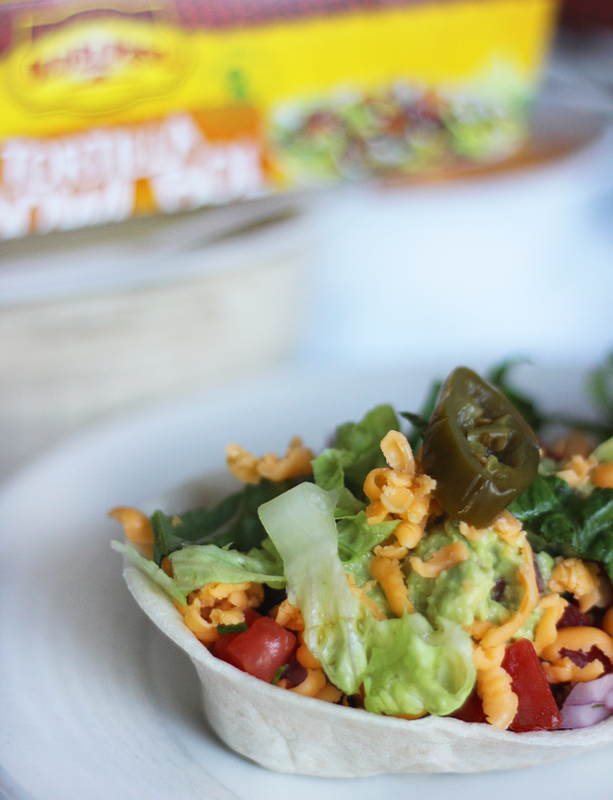 If you’re looking for other ways to use OLD EL PASO Tortilla Bowls, there’s some great inspiration here! 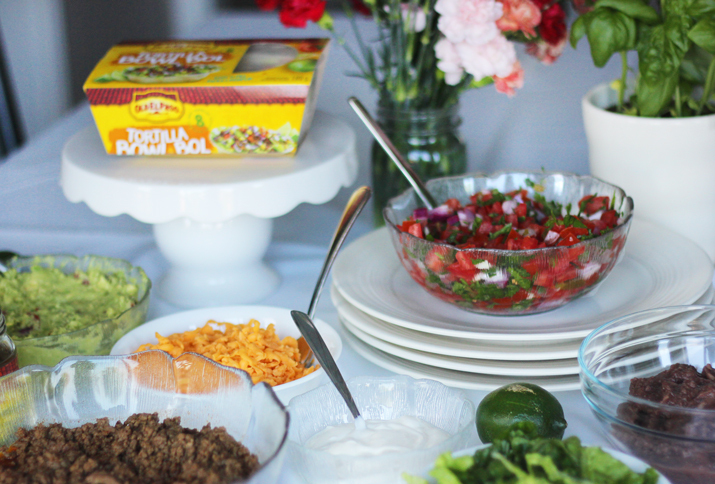 What are your family’s favourite toppings for taco night? I really like the idea of having the family together for dinner on Sunday! I’m totally going to use that whenever I can start having a family! 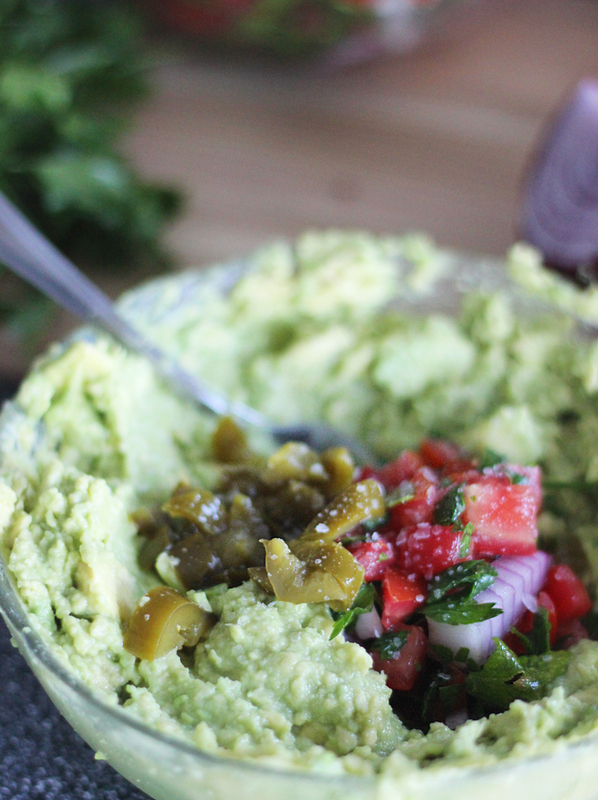 Love pico and guacamole and so those bowls are perfect! That looks so good! I’m a big fan of those tortilla bowls! Oh my goodness this looks incredible, especially with the homemade guacamole as well. Now I’m really craving mexican.